His song “Bustin’ Loose” – performed with his band The Soul Searchers – made it to number one on the R&B singles chart in 1978, but the popularity of go-go primarily stayed within the District. And in the course of thirty years, go-go became one of those rare things – a native D.C. tradition. Brown was supposed to play once again at the newly renovated and reopened Howard Theatre in April, but the show was postponed when he was hospitalized. 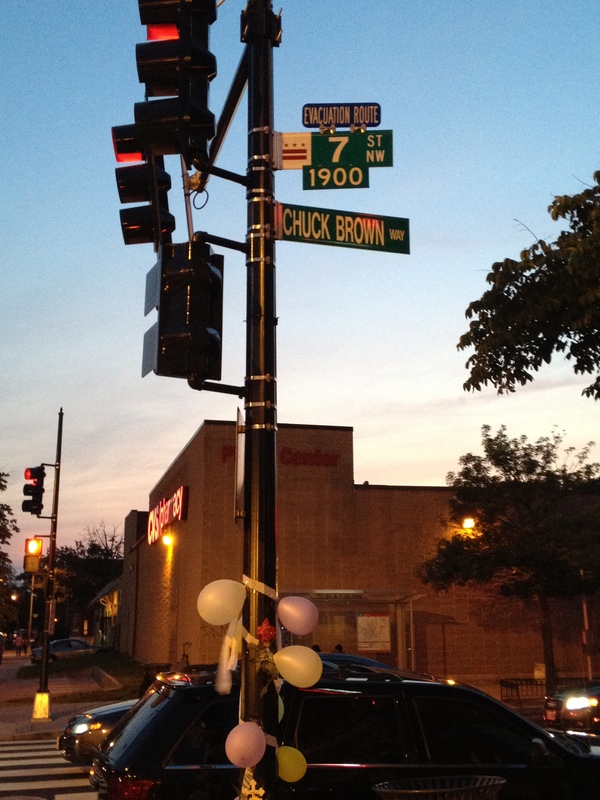 Tonight a crowd gathered outside the Howard, a block from Chuck Brown Way, to pay homage to a cherished Washingtonian. With the sounds of go-go music in the background, a set of balloons was released into the sky.